Did you know that the Greek names of the Zodiac Signs have influenced and defined the universal names of the signs in the zodiac circle? 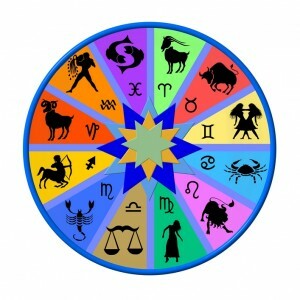 Do you know what are the Greek names of the Zodiac Signs? It is already known that in science, the etymology of terms has its roots in the Greek names. For example, the term zodiac derives from the Greek words zodiakos kyklos, which means circle of animals. In Greek, the zodiac signs are called zodia, due to the word “zodion” which means little animal. The names of the zodiac signs are chosen by the fact that most of the signs are represented by animals and mythical creatures of the Greek Mythology. The constellations, as they were described in Greek mythology, were mostly god-favored (or cursed) heroes and beasts, who received a place in the heavens in memorial of their deeds. They were regarded, as semi-divine spirits, living, conscious entities who strode across the heavens. Even the word horoscope derives from the Greek language, specifically the Greek compound word “oro + scopo”, which means “look at the hours”. Astrologers defined horoscope as the aspect of the planets and stars at a given moment, such as the moment of a person’s birth. Greek Astronomers were usually observing the sky trying to explain the existence of stars and constellations. Astronomy and Astrology were born in the Mediterranean, as the Egyptians, the Babylonians and the Greeks created the zodiac circle, casting horoscopes based on the movement and placement of the Sun, Moon and planets. Greek poets and astronomers linked the planets and constellations with the Greek mythology, naming the zodiac signs after mythological figures. The Horoscopes and zodiac signs of the astrology were organized in the way we know them today by the Greek astronomer and astrologer Ptolemy, who wrote the book “Tetrabiblos” laying the basis of the astrological tradition used till today. The Greeks defined the Houses, Planets and Zodiac Signs, rationalizing them based on their function. 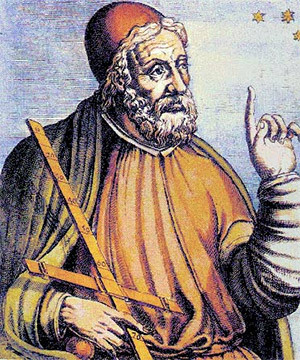 A Greek astronomer, Hipparchus, discovered the precession of the equinox allowing Ptolemy to adopt the tropical coordinate system, which is used by astrologers today. Aries: the Greek name of the zodiac Aries is Krios (Kree-ós). The symbol of the sign is the Ram, referring to the Greek myth of the Golden Ram that saved Frixus and Elli from being sacrificed to the Gods. The myth of the Golden Fleece also refers to the same Golden Ram. Taurus: the Greek name of the zodiac Taurus is Tavros (Tá- vros).The name of the sign refers to the bull, therefore, the symbol of the sign is the Bull. The Greek Name of this sign refers to the Greek myth of Theseus and the Minotaur, the horrible monster that lived in the labyrinth of King Minos in Crete. Gemini: the Greek name of the zodiac Gemini is Didimoi (Deé- dee-mee). The symbol of this sign are the Twin brothers. The name of Gemini refers to the Greek mythology and the myth of Castor and Polydeuces (Pollux in latin). Castor and Pollux were the sons of Zeus and Leda, and brothers of Helen of Troy. Leo: the Greek name of the zodiac Leo is Leon (Lé-on). The symbol of the sign is the Lion, referring to the myth of Hercules and the Lion of Erymanthes, one of the first impossible tasks he had to fulfil. Virgo: the Greek name of the zodiac Virgo is Parthenos (Pa-rthé-nos). The symbol of the sign is the maiden, since Parthenos in Greek means Virgin. According to the myth, the Greek name of the zodiac sign refers to Persephone, Goddess’ Demeter daughter, who was sent to the Hades to marry the King of the Underworld. Libra: the Greek name of the zodiac Libra is Zygos (Zee-gós). The symbol of the sign is the golden scale that is associated with justice, equity and balance. It was given by the Greeks, who considered Justice a deity. Scorpio: the Greek name of the zodiac Scorpio is Skorpios (Sko-rpee-ós): The symbol of the sign is the Scorpio, associated with the myth of Orion. According to this Greek myth, Gaia had sent a scorpio to sting Orion, because he was boasting that he is too powerful. Indeed, the constellations of Scorpio and Orion seem to chase each other in the planetary moves. Sagittarius: the Greek name of the zodiac Sagittarius is Toksotis (To-ksó-tees). The symbol of the Sagittarius is the archer. However, if you look more carefully, you will see that the archer is the Centaur, the Greek mythological figure of half man – half horse. Capricorn: the Greek name of the zodiac Capricorn is Aigokeros (E-gó-ke-ros). Capricorn is symbolized by the sea god with the head and half the body of a goat, and the tail of a fish. According to the astrologers, this sign owes its name and symbol to the goat Amaltheia that took care of the newly born God Zeus, and nursed him so lovingly in order to save him from his father Cronus. Aquarius: the Greek name of the zodiac Aquarius is Ydrohoos (Ee-dro-hóos). The symbol of Aquarius is a young man pouring water out of a jug. It refers to the myth of Ganymedes, the young lover and protegee of Zeus, who was serving the Gods nectar. Pisces: the Greek name of the zodiac Pisces is Ihtheis (Ee-htheés). The Pisces are symbolized by the two fish in different directions. The sign is associated with the myth of Aphrodite and her son Eros, who dived into the sea and took the forms of twin fish, trying to save themselves from the Typhoon, a monster that wanted to harm the Gods. There is also a 13th star, which is called Ophiuchus, from the Greek name Ophiuchos, which means the serpent holder in Greek. It was listed in the Zodiac Sign list made by Ptolemy, but was not that commonly used. I’m often to running a blog and i really respect your content. The article has really peaks my interest. I am going to bookmark your website and maintain checking for brand spanking new information.